Let's be honest – it’s tough to remember where to find good food after midnight that isn't delivered in a greasy bag through a drive-thru window. (It is even more difficult if you’ve had a few drinks and are playing a spontaneous game of “20 Questions” with your designated driver about where to eat). Check out the restaurants we found (in no particular order). Have one to add? Send an email to Josh.Frigerio@abc15.com . Joe’s Midnight Run is one of the Valley’s newer restaurants opening in 2016. It features a chef-driven menu with all wood-fired dishes from around the world. A look at its menu and you’ll find poutine, flatbreads and frites under shared plates. Want an entree? They’ve got Cornish hen, pork chops, and the Notorious B.I.G. Burger, among others. The kitchen is open every night until 2 a.m.
EVO is an Italian restaurant in Old Town Scottsdale. It prides itself on using local ingredients to serve classic American and Italian fare in a comfortable environment. The menu features pasta, pizza, seafood, and, of course, gelato for dessert. The kitchen is open every night until 1:30 a.m. If you’re looking for a quality late-night meal, Delux burger is it. They serve burgers, fries (served in table top shopping carts) salads and sushi. 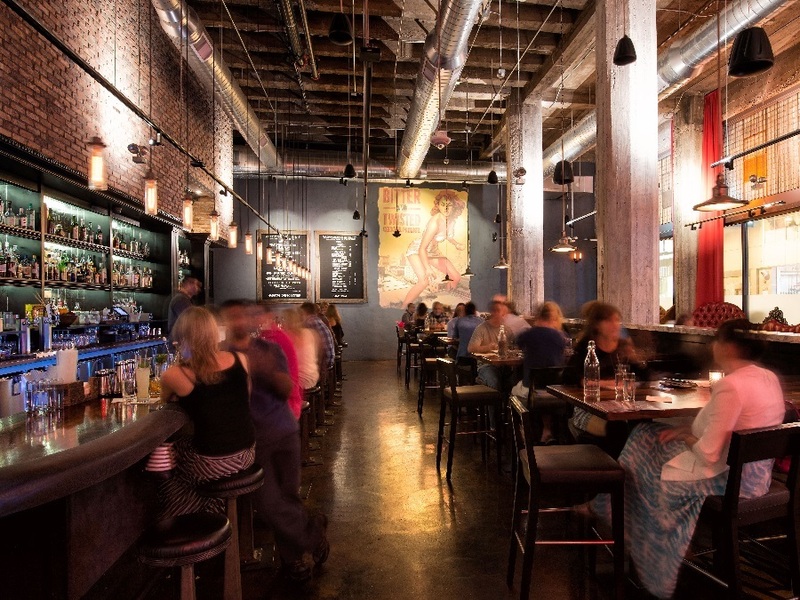 From 10 a.m. to 2 a.m., the Reverse Happy Hour menu goes into effect. The kitchen is open nightly until 2 a.m. The Welcome Diner is an eatery run out of a 1940s Valentine Diner in Phoenix’s eclectic Roosevelt Row. 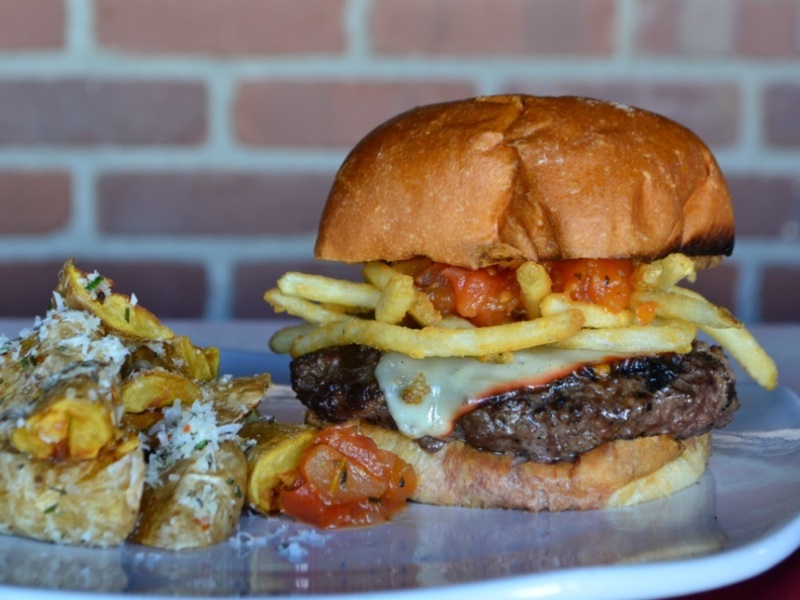 They use locally-sourced ingredients to craft burgers, salads, sandwiches, and munchies. Menu items include the Peanut Butter Burger, poutine, mac and cheese, and Fish Po’Boy. The kitchen is open until 2 a.m. It is closed on Mondays. 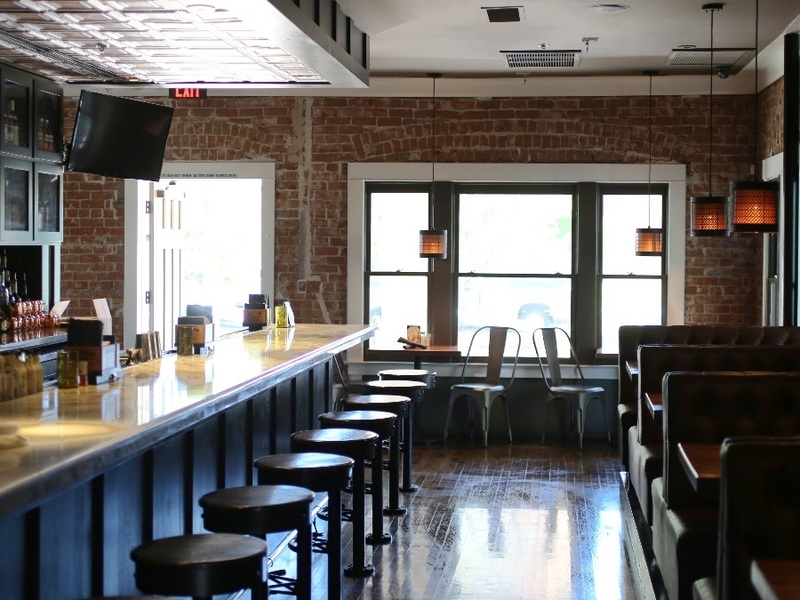 The Vig is a neighborhood restaurant and bar that has four locations in Phoenix. The Arcadia location has a large patio perfect for our Fall, Winter and Spring months and a menu that any palate can enjoy. The kitchens at the Arcadia and Fillmore locations are open until 1 a.m. every day with their late-night menu. The Uptown and McCormick kitchens are open until 1 a.m. on Friday and Saturdays. 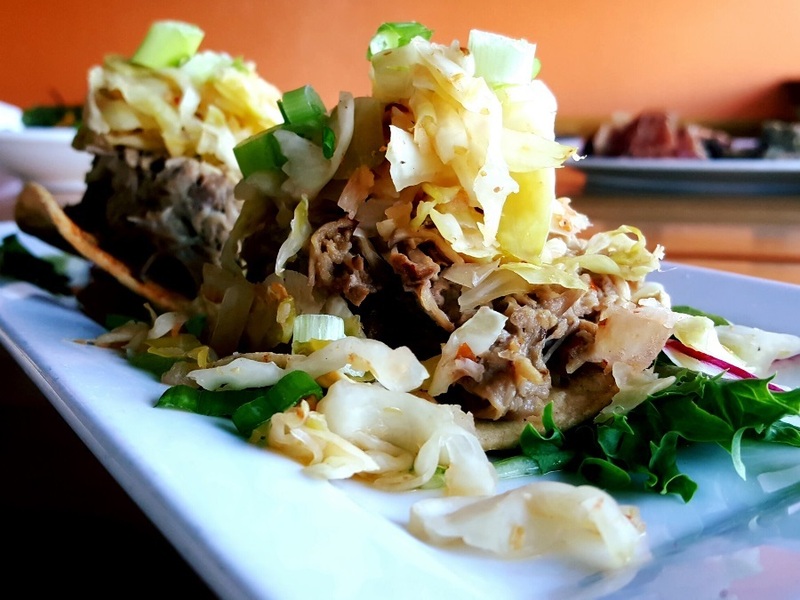 Juan Jaime's is a Mexican restaurant in Chandler and Scottsdale. The first restaurant opened in 2007 in Chandler. They serve tacos, burritos, and platters. The kitchen is open every day until 1 a.m.
Mellow Mushroom is a quirky pizza place. 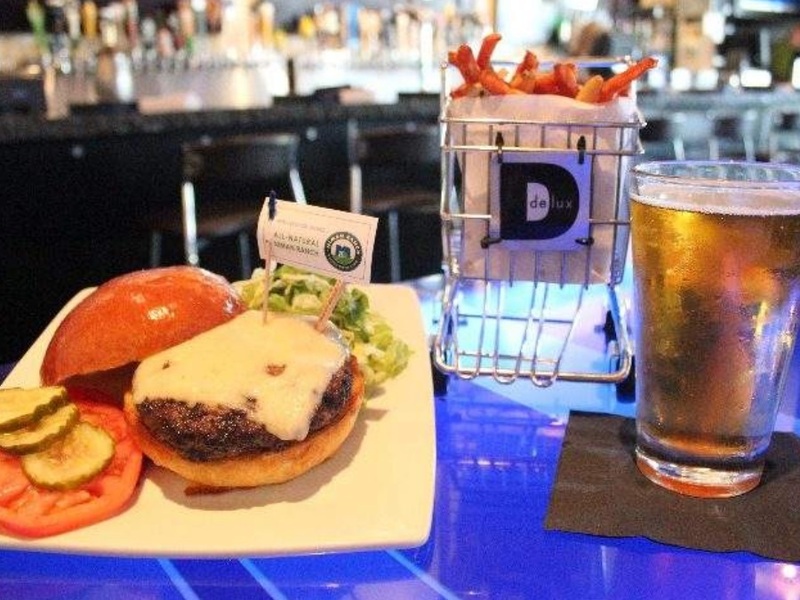 The chain has multiple locations in the Valley, but it’s not a bad spot to stop if you’re feeling hungry after a night out bar hopping on Mill Avenue...or if you’re looking for a quick bite to eat before class or a show at ASU Gammage. The kitchen is open until 1 a.m.
Craving pizza late at night? Oliveos serves up slices until 4 a.m. Feeling hungry for pizza at two, three or four in the morning? Call up Gus’s. Pizza, wings, calzones, subs, and desserts are available for pick up or delivery. Pizza is served and delivered every day until 4 a.m.
You cannot be more available than being open 24 hours a day. 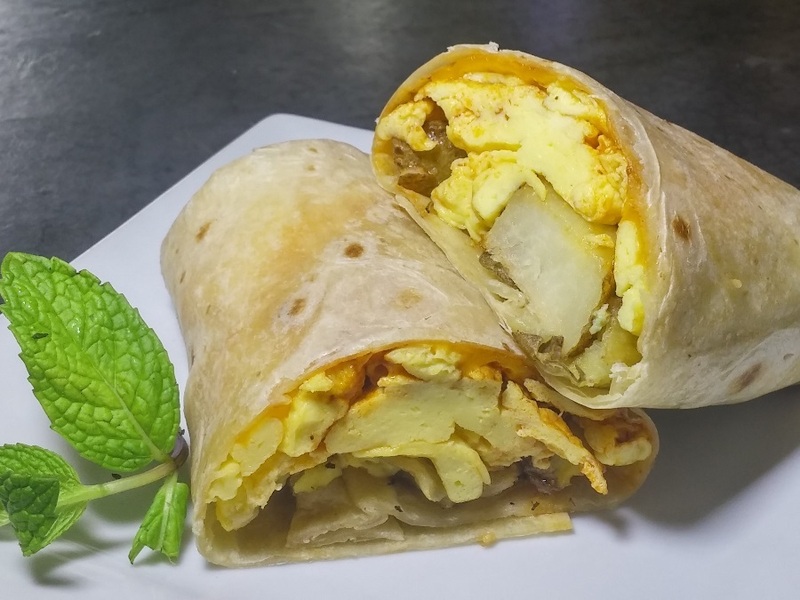 Urban Beans is a Phoenix café that serves breakfast and lunch sandwiches and dessert. You can head over to the bar for cocktails, beer and wine. The café is open 24 hours. AZ88 is a modern cocktail bar in Scottsdale. Its menu is more eclectic than your typical late-night cocktail bar. They serve shrimp ceviche, bacon-wrapped water chestnuts, and house chips covered in blue cheese as appetizers. They also have burgers, chicken sandwiches, and salads. The kitchen is open until 12:30 a.m. every night and cocktails are served until 1:30 a.m. Bitter and Twisted is an urban cocktail parlor in downtown Phoenix and recently named one of the “ 40 Best Bars in America For Food Lovers ” by Food Network. They specialize is visually creative cocktails and also have late-night bites. The full menu is available every night until 11 a.m. The late-night menu is available until 1:30 a.m.
Hanny’s was built in 1947 and was originally a large department store. It closed in 1986 and shortly after became a training ground for firefighters. Now, it's home to Hanny’s Restaurant and serves cocktails, pizza, sandwiches, and salads in a comfortable environment. Do not forget to check out the open elevator shaft. The kitchen is open until 1 a.m. every day. In the heart of Scottsdale is Joe’s New York Pizza. A perfect spot to serve up some pizza to the late night party crowd—they’re open until 4 a.m. each night. Kazimierz is a wine bar with a castle-like look to it. Stones line several of the walls and wine caskets line others. There is a lot of seating—big couches, chairs, high tops and tables. The food menu has fare that pairs well with drinks—flatbreads, Charcuterie and cheeses. The kitchen schedule is open until 1:30 a.m. “most nights.” So, it just depends on how busy the night is. Fez is a neighborhood restaurant in central Phoenix. It has signature cocktails and a vast menu of sandwiches, burgers, and shareable items. The kitchen is open until midnight Sunday through Thursday and until 1 a.m. on Friday and Saturday. The Irish know how to have a good time. So if you’re hanging at the bar for the night, you know there will be food around. They have your Irish favorites: Corned beef & cabbage, fish ‘n chips and chicken pot pie. But they feature more American fare, too: chicken strips, salads, and burgers. The kitchen is open until 1 a.m. Thursdays through Saturdays, while the bar is open until 2 a.m.
Moira is a small and modern sushi bar a short walk from Arizona State University’s downtown campus. They’ve mixed Japanese traditional dishes with new flavors and local ingredients. They have a late-night reverse Happy Hour, which is always a plus. The kitchen is open until 2 a.m. Friday and Saturday. The Brickyard is a new restaurant in downtown Chandler. They have chef-driven shared plates, street tacos, meat & cheese boards, and Ahi tuna, among other dishes. The kitchen is open until 1 a.m. on Friday and Saturday. It is closed on Monday. The interior of Copper Blues is slick. It’s located at CityScape in downtown Phoenix and mixes music, beer and food. It has one of the best happy hours in the Valley. So, if you’re up for some late-night grub, Copper Blues has what you’re after — Sriracha ranch fries, pretzel sticks with cheddar beer sauce, even filet bites. The kitchen is open until 2 a.m. on Friday and Saturday. Who’s up for a shake? Arizona’s only Steak N’ Shake resides on Tempe’s Mill Avenue, otherwise known as ASU’s bar scene. On Friday and Saturday nights, they’re whipping up burgers, fries, and shakes until 3 a.m. The kitchen is open until 3 a.m. on Friday and Saturday. Jobot Coffee is an independent business and place to meet up with friends in Phoenix’s eclectic art district, Roosevelt. They’re also known for whipping up crepes. Re-energize that study session with a crepe and coffee. The kitchen is open 24 hours on weekends and until midnight during the week. The late-night menu at Pig & Pickle knows its audience — "snacks and drankin’ food." It is all about real ingredients and big flavors. Menu items include buffalo pork shanks, pork tostadas, ground pork burger, and duck fat fries (yes, there is bacon on the menu). The kitchen is open until 1 a.m. Tuesday through Sunday. CK’s is a local tavern in Ahwatukee, a suburb south of downtown Phoenix. They have 24 beers on tap, TVs for sports, and a menu with a lot of typical bar favorites — wings, nachos, potato skins, among other larger entrees. The kitchen is open until 1 a.m. on Friday and Saturday. Squid Ink is a downtown sushi bar. With the menu, Chef Schuyler Estes wanted to explore different flavors forward. They have many different rolls, but for the non-sushi fan, they also have other dishes—pot stickers, edamame, beef negimaki, grilled salmon, among others. The kitchen is open until 2 a.m. on Friday and Saturday. Sushi service ends at midnight. Carly’s is an independent restaurant along Roosevelt in downtown Phoenix. They have a tasty hummus trio you can chase with a craft beer, among other dishes. The kitchen is open until midnight during the week and until 2 a.m. on Friday and Saturday. 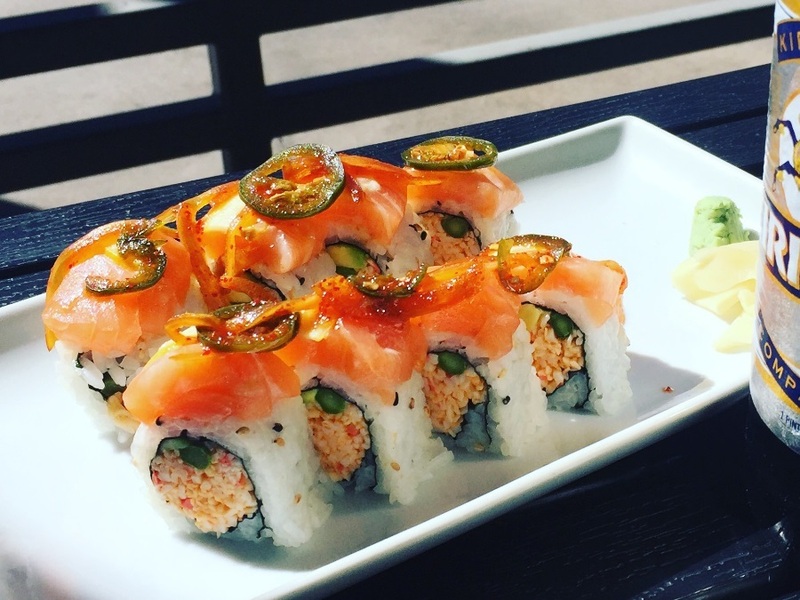 RA Sushi is a sushi restaurant and bar with five locations in the Valley. They have dozens of rolls. Even if you're not into raw fish, they have other cooked dishes to enjoy. There are five locations in the Valley and on in Tucson. Craving pizza at 2 in the morning? No worries, Zio's Pizza serves not just pizza, but burgers and wings until 5 a.m. every day. Craving sushi late at night? Good news, OHYA Sushi is open late throughout the week. The kitchen is open until 12:30 a.m. Monday - Thursday and until 1:30 a.m. on Friday and Saturday. Yard House is a bar and restaurant in Glendale's Westgate Entertainment District. The kitchen is open until 12:30 a.m. on Friday and Saturday.